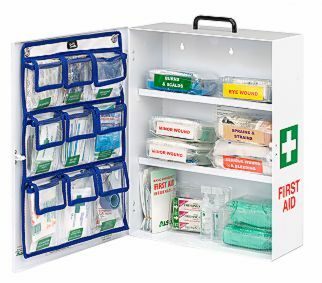 The first aid kits in your workplace are one of the most important elements in the health and safety of your customers and employees. 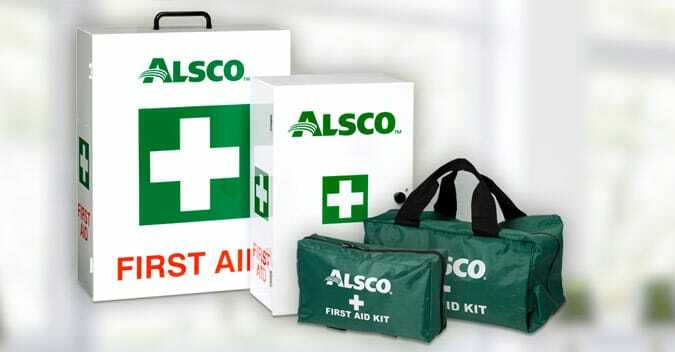 Alsco’s managed first aid kit service offers your business safety and New Zealand legislation compliance – year-round. Every three months, we fill your kits with carefully selected , hospital-grade material. Regardless of the type of your business, Alsco’s managed first aid kit rental service can be perfectly adjusted to your business – at no extra cost. 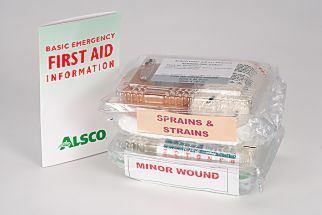 Why is Alsco’s Rented First Aid Kit Service Better? 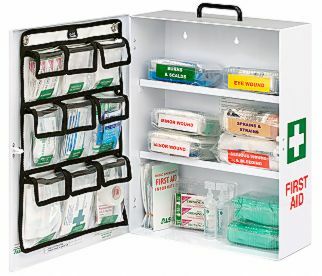 Regularly restocked with hospital-grade first aid supplies – for free. Matched with your business needs – we will provide you with Kits that you need, stocked with the supplies you’d most likely need. Affordable – we charge you a single, all-inclusive annual fee – that’s it! We charge you a single annual fee for all the First Aid efforts we put into your order. 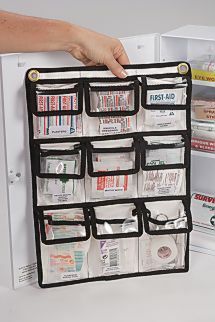 Our team installs the First Aid Kits where they should be. That’s not all. We come and check it, restock it, match its contents with New Zealand legal requirements. In other words – you can forget about them and leave it to us. Alsco’s managed first aid rental service takes care of everything. 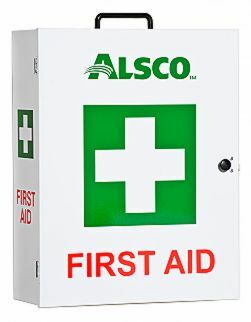 Ready to pay one single fee – and let Alsco take care of your business’s First Aid Kit needs year-round? Fill in the enquiry form on this page, to get the best price. Our friendly, informed sales staff are waiting to help. First time purchases include an extra $100 portable first aid kit – for FREE*.